I joined CNN International’s Natalie Allen to discuss the Democrats running for President in 2020 — including Elizabeth Warren, who formally announced on Saturday — and Donald Trump’s insult-filled response. We contrast Warren’s “better America” on issues such as economic fairness, women’s and workers’ rights, and the environment with Trump’s Twitter reply built on racism and a joke about mass killing of Native Americans. 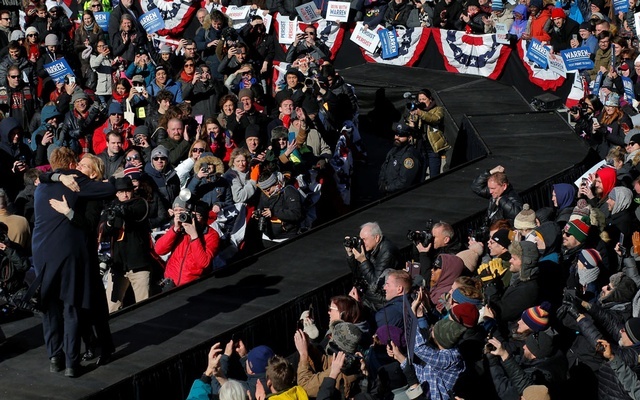 After reviewing the state of the Democrat race — explaining why diversity rather than a “rock star” front-runner is better for the party and discussion of issues — we take on the question of Trump’s triumph through spectacle. We’ve had a spectacle of division since 2016. We’ve had a spectacle of division since then. Us v. Them; men v. women; the US against the world, including its allies — often in terms which are insulting, tearing us all down. How do we counter that? With a spectacle of decency. Decent in our language, decent in our politics, decent in our respect for each other.